This season has been calamitous for ​Burnley. Sean Dyche's men were competing for European qualification last season, but this year they find themselves battling at the bottom of the league table. Something needs to change. According to ​The Sun, the Clarets want to bring in ​Chelsea starlet Reece James on loan next season, in a move which Chelsea could find too good to turn down. They want James, who has excelled in the ​Championship with ​Wigan Athletic this year, to cut his teeth in the ​Premier League next year, and Burnley could be the ideal destination if Burnley can avoid relegation. ​Brighton and Hove Albion and ​Crystal Palace have both been credited with interest in a permanent deal for the 19-year-old, who is widely viewed as one of the club's top youngsters. However, Chelsea fans would likely be up in arms if he is sold. ​Huddersfield Town had spent the majority of the season looking as though they were allergic to scoring goals. But then, all of a sudden, they netted three goals against ​West Ham United on Saturday. Manuel Pellegrini will not be a happy man. It appears as though he has wasted little time trying to strengthen his defence, as ​La Segunda claim Pellegrini has seen an £8.5m bid for Alaves defender Guillermo Maripan rejected. The Hammers are expected to return with an improved bid, but they face competition from both ​Barcelona and ​Real Madrid (but who would want to play for either of them?). This is not a drill. ​Tottenham Hotspur might actually sign a player. Everyone stay calm. According to ​A Bola, Mauricio Pochettino is looking to conclude a quick move for Benfica wonderkid Jota. The 19-year-old has a £25m release clause, but the Portuguese giants are looking to increase that to £85m, which would almost certainly scare Tottenham away. Gelson Martins' name has been almost synonymous with ​Arsenal in recent months, and that looks set to continue. The ​Atletico Madrid man was widely expected to move to the Emirates in January, but instead joined Monaco on loan. However, the Gunners are obviously still keen. Gelson has impressed in Ligue 1 and, according to A Bola (via ​Sport Witness), Unai Emery is set to explore the possibility of signing him again this summer. Unfortunately, his transfer will certainly not be straightforward. There are few men in football more powerful than ​Juventus forward ​Cristiano Ronaldo. Whatever he wants, he usually gets, and it seems he wants ​Milan's Andre Silva, who is currently on loan with Sevilla. Sevilla's exit from the Europa League means they are unlikely to commit to signing the 23-year-old permanently but, according to ​Milan News 24, a move to Juventus could be on the cards. Ronaldo is said to be a huge fan of the forward, who he plays alongside him for Portugal, and he has told Juventus that he wants Silva to join him at the club. 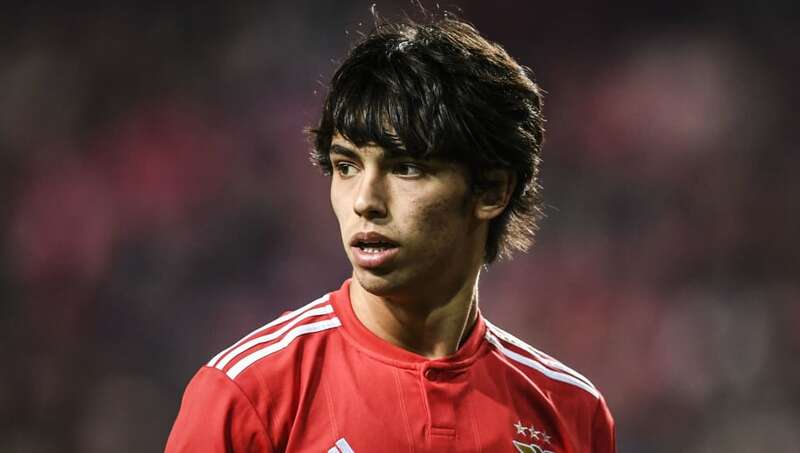 If you haven't heard of Benfica starlet Joao Felix, it's time to take notes. The 19-year-old has been tipped for superstardom which, of course, inevitably creates links to ​Manchester United. However, according to ​Manchester Evening News, Felix has insisted that he is in no rush to leave Benfica, who he claims are as big as the Red Devils. ​Wolverhampton Wanderers have also been linked with Felix as they look to take advantage of their links with super agent Jorge Mendes. If teams want him, they will likely have to pay all €120m of his release clause. Yikes.